Hi I’m Rachael. I’m originally from Horsham in West Sussex, I graduated from the University of Sheffield in 2013 with a Masters in Structural Engineering with Architectural Studies. I then ended up in Manchester without knowing much about it, but luckily I now love living here. I joined Civic Engineers having worked for a large engineering consultancy; I am really enjoying being part of a smaller team here at Civic and working on a great variety of projects. I wanted to become a structural engineer because I have always been interested in creating things and I enjoy being a part of creating new buildings in the city that I live in. Outside of work, another way I enjoy being creative is by cooking which is sometimes successful and sometimes not. I also like to spend my time reading, running and going to music and comedy gigs. I am close with my family and friends and try to see them as often as possible. 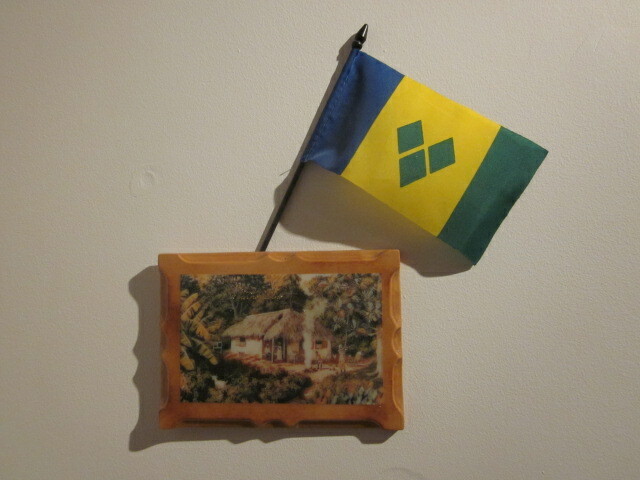 The photo below is of an object that is special to me – my flag for St Vincent and the Grenadines, the West Indian island where my grandparents grew up. I got the flag on a family holiday to St Vincent in 2005 to visit family who still live there.